An insurance lawyer can provide advice on a wide range of insurance-related legal issues. Insurance lawyers can also provide legal guidance on insurance matters such as fraud, personal injury, health and safety litigation and costs disputes. Do you need help regarding insurance law? Would you like to make an insurance claim? If so, then please complete your free legal enquiry form on the left, or click here. Despite the best efforts of insurers to make the terms of their cover crystal clear, the wording can sometimes leave room for different interpretation, particularly in unforeseen circumstances. Insurance lawyers can resolve differences arising from interpretation and can advise in all classes of insurance business. As well as resolving the immediate dispute, insurance lawyers can also advise on the necessary revision of policy wording in order to avoid the same or similar problems in future. Insurance lawyers also work with clients to identify and remove potential areas of doubt between insurers, reinsurers and insureds in the light of new or prospective commercial developments and legislation. Through this non-contentious work, Insurance lawyers help their clients avoid potentially costly misunderstandings and disputes. Insurance lawyers have considerable experience in resolving personal injury claims arising from road traffic accidents, incidents at work and public liability matters. Insurance lawyers can assist insured people and businesses pursue claims in respect of fire damage, subsidence or flooding, as well as pursuing claims made unedr Income Protection policies. The Insurance Act 1973 (Cth) requires minimum levels of capital and solvency for companies wanting to enter the insurance market and for insurers in the market. Chapter 7 of the Corporations Act 2001 (Cth) regulates the way in which insurers and insurance agents and brokers carry on business and how they deal with the people they do business with and intend to do business with. The Insurance Contracts Act 1984 applies to most insurance contracts with an Australian connection and is intended to ensure that a fair balance is struck between the interests of the insurer and the insured. The Australian Prudential Regulation Authority (APRA) has the power pursuant to the 'Insurance Act 1973 to investigate a general insurer, freeze its assets or direct it to take specific action (for example, stop writing new business). The Australian Securities and Investment Commission (ASIC) is responsible for the general administration of the ICA. The formation of an insurance contract is governed by ordinary contractual principles. The General Insurance Code of Practice is a self regulatory code that binds all general insurers who are signatories to it. It has been approved by ASIC pursuant to s 1101A of the Corporations Act 2001 (Cth). If a person doesn't agree with the outcome of the insurer's Internal Dispute Resolution (IDR) process, they can contact the Financial Ombudsman Service with a request that the Service resolve the dispute. Code of PracticeThe General Insurance Code of Practice is a self regulatory code that binds all general insurers who are signatories to it. It has been approved by ASIC pursuant to s 1101A of the Corporations Act 2001 (Cth). Financial Ombudsman ServiceIf a person doesn't agree with the outcome of the insurer's Internal Dispute Resolution (IDR) process, they can contact the Financial Ombudsman Service with a request that the Service resolve the dispute. (1) The main object of this Act is to protect the interests of policyholders and prospective policyholders under insurance policies (issued by general insurers and Lloyd's underwriters) in ways that are consistent with the continued development of a viable, competitive and innovative insurance industry. (d) providing for the prudential supervision of general insurers by APRA. If you need legal advice regarding Insurance Law, then please complete your free legal enquiry form on the left, and we will put you in touch with a Insurance Law lawyer nearest you, who can help you with Insurance Law. Our free legal enquiry service for Insurance Law extends to all suburbs throughout Australia. This document digests the comprehensive programme of law reform undertaken in Australia over the past two years. The reforms were ..
International Decisions of Interest - Insurance Law - Supreme Court ..
DISCLAIMER: Subject to operation of the law, the Supreme Court (NSW) disclaims all warranties or representations regarding the relevance, ..
Victoria's Legal Services Board: Working Under the Act: Professional indemnity insurance. Guidebook to insurance law in Australia / Marks & Balla ; with CCH editorial staff .. Previous ed. published as: Insurance law in Australia and New Zealand / by ..
JOURNAL. OBITUARY. Mr Ralph Jacobi AM. It is comparatively rare that one can single out a back bencher in Parliament and say of him or ..
Joinder of insurers and attachment of insurance moneys — Judicial ..
See S Warne, "Joining the Fence-Sitting Insurer as a Defendant in Liability Proceedings" (1998) 9 Insurance Law Journal 208 and Part II (1998) 10 Insurance .. Such extensive reform to the system of tort law and insurance is unprecedented in. Australia. This report is a testament to the enormity of the task that we have ..
Driving in Victoria. On this page: Driving laws and road rules; Driver's licence; Car registration; Car insurance; Maps and street directories ..
Australian Insurance Law Association 2011 Conference The ..
conference of the Australian Insurance Law Association. When I was a young practitioner, I quickly came to appreciate the profound effect .. Speech to the Australian Insurance Law Assocation Annual ..
TO THE AUSTRALIAN INSURANCE LAW ASSOCIATION ANNUAL CONFERENCE SYDNEY, 6 APRIL 2000. At the commencement of the Law ..
Insurance Law. Couple. Paul Holmes is a Senior Lawyer (Consumer Advocate) in the Consumer Protection Unit (CPU) of Legal Aid ..
Amendment Act 1998. No. 35, 1998. Insurance .. An Act to amend the law relating to insurance, and for other purposes. Contents. 1...... Short ..
Review of the Insurance Contracts Act – Final Report on second ..
4.5 At common law a potential insured was required to disclose all material facts to its insurer. This is explained in the Explanatory Memorandum to Insurance ..
An Act to amend various laws relating to insurance, and for related purposes .. This Act may be cited as the Insurance Laws Amendment Act (No. 2) 1994. Australian Insurance Law Association Annual Conference 5-7 April ..
Australian Insurance Law Association Annual Conference 5-7 April 2000. 1. At a conference whose theme is "Challenges of Change", the topic .. The Insurance Law Service ("ILS") has been providing advice and assistance to Australian consumers in relation to insurance since July 2007.
reduce a claim by if you're under-insured. Check your policy for details. ▌What insurance do I need by law? If you employ staff, by law your business ..
Insurance Law > Australian & New Zealand Insurance Law Tracker > 2011 > Issue 10, February 2011 > Flood insurance. © CCH. 1. Flood insurance, 08 ..
Arts. Arts Law Centre of Australia .. Insurance. Insurance Law Service .. Media and Communications. Communications Law Centre .. Application PART 4-AMENDMENT OF THE INSURANCE LAWS AMENDMENT ACT 1991 40. Principal Act 41. Phasing-in of capital and solvency requirements .. Provides free legal advice to anyone in Australia (but does not assist businesses or insurers) on all types of insurance law matters. ANZIIF Tier 1 Insurance Broking- FSB501 Providing Customer ..
ANZIIF Tier 1 Insurance Broking- FSB501 Providing Customer Advice and FSB502 Insurance Law and Regulation for Brokers ..
Index page to the Motor Accident Insurance Commission (MAIC) website. .. Queensland operates a common law 'fault' based Compulsory Third Party (CTP) ..
FSI 102 - Insurance Law and Regulation PLUS FSI 101 Serving the ..
FSI 102 - Insurance Law and Regulation PLUS FSI 101 Serving the Customer. Course Information. Participants who successfully complete assessments will be .. Title: Insurance factsheets - Insurance Law Service. About: Fact sheets covering claims for car insurance, home and contents insurance, .. If you decide that you want to make a claim on your insurance policy, go to the Insurance Law Service factsheet Making a claim on car ..
Amendment Bill 1997 .. Commencement: The Act which may be cited as the Insurance Laws Amendment Act 1997, commences on the day it .. Author: Pynt, Gregory John; Subjects: Insurance law - Australia. ; Insurance - Australia. Summary: Explains fundamental legal principles, legislation and case law ..
contracts are not so different from all other contracts that they should be immune from the general law regarding unfair contracts;; the duty of utmost .. Available and Affordable - Improvements in Liability Insurance ..
Reform of Liability Insurance Law in Australia - 27/02/2004. This document digests the comprehensive programme of law reform undertaken in ..
Home indemnity insurance protects home owners against financial .. If residential building work worth over $20000 is to be undertaken, the law requires that a builder must take out indemnity insurance in the name of the home .. In Australia the primary focus of attention with respect to tort law reform has been insurance premiums rather than the cost to the taxpayer. NATIONAL AUSTRALIAN INSURANCE LAW ASSOCIATION ..
issue of fact or law, is increasingly utilised.21 The American insurance industry has. 16 PL Refo, "Opening Statement: Trial Rescue" (2004) .. Preliminary submission to Queensland Floods Commission of ..
Legal Aid Queensland (LAQ) has established an Insurance Law Service to respond to consumers with problems with general and content ..
and premiums .. Law and policy .. New work health and safety laws replaced the occupational health and safety (OHS) laws in NSW on 1 January ..
(Third-Party Insurance) Regulation 2008. This legislation is administered by the Department of Treasury. CTP claims are also subject to the Civil Law. (Wrongs) .. Sole practitioners and law firms. On this page: Sole practitioners; Law firms; Notification of Register details; Professional indemnity insurance ..
See submissions to the Committee from Consumer Action Law Centre, Insurance Law Service. (Consumer Credit Legal Centre (NSW) Inc), Legal Aid ..
ANZIIF Tier 1 General Insurance Personal Accident and Sickness ..
ANZIIF Tier 1 General Insurance Personal Accident and Sickness- FSI 401 Serving the Customer and FSI 402 Insurance Law and Regulation ..
AUSTRALIAN INSURANCE LAW ASSOCIATION Causation, Perils ..
AUSTRALIAN INSURANCE LAW ASSOCIATION. 20 July 2011. Causation, Perils of the Seas and Inherent Vice in Marine. Insurance. Justice James Allsop1 ..
6.2 In October, 1980 the report of the Law Commission of England entitled Insurance Law - Non-Disclosure and Breach of Warranty"1 was .. Under workers compensation law, a principal contractor is anyone who .. have declared an appropriate amount of wages for their insurance .. Select "Publications" for fnancial services and insurance law bulletins; Financial Ombudsman Service An industry organisation dealing with complaints relating ..
and affordability of insurance in Australia has improved markedly in recent years. This report describes the tort law reforms that have been implemented across ..
Workers' Compensation – Common Law Insurance. New legislation will clarify common law insurance requirements for employers and insurers ..
the Victorian WorkCover insurance laws. You have other legal obligations that are not set out in this Policy document and it is your responsibility to be aware of ..
MOTOR VEHICLES (THIRD PARTY INSURANCE) AND LAW ..
purposes to amend the Motor Vehicles (Third. Party Insurance) Act, 1942-1951, the Law Reform. (Miscellaneous Provisions) Act, 1944, and certain other Acts; to ..
SUBMISSION OF LEGAL PRACTITIONERS' LIABILITY COMMITTEE ..
- Its sole function is to provide professional indemnity insurance to law practices. The LPLC and its predecessor, the Solicitors' Liability Committee, have insured ..
insurance-agents-brokers-and-contracts - Australian Law Reform .. When the inquiry into the law governing contracts of insurance was given to the ALRC in September 1976, the law regulating insurance ..
Laws and prosecutions .. Most employers insure with WorkCover Queensland, while a small number of large organisations have their own .. The introduction of land ownership, foreign investment, bankruptcy, banking and insurance laws is a priority. The Government of East Timor is also developing ..
law of insurance because, it was said, marine insurance was a discrete area .. considered in previous reviews, the history of marine insurance law and the MIA ..
Insurance law with particular emphasis on professional negligence in the areas of Insurance. Brokers, Real Estate Agents, Engineers, Surveyors,. Hospitals and .. The standard of proof (q.v.) required in civil law (q.v.) cases, i.e. it is more probable than .. Insurance that covers claims against the insured by other persons for ..
- Discussion Paper: National Rules for Professional Indemnity Insurance. Rule 1 Provision of cover – Australian legal practitioners and law practices. National ..
Handbook Home; Chapters A-F. ACCIDENTS .. Complaints against insurance companies .. SOUTH AUSTRALIAN LAW GOVERNING THE WORKPLACE ..
100+ items – Australian Government - Natural Disaster Insurance Review .. Complaints about insurance company decisions - LawAssist ..
Before making a claim against an insurance company in the CTTT or the Local Court you should get legal advice. The Insurance Law Service provides legal .. The Insurance Contracts Act 1984 (Cth) writes into every insurance contract a statutory obligation on .. Law Handbook Home; Chapters A-F .. Such extensive reform to the system of tort law and insurance is unprecedented in Australia. This report is a testament to the enormity of the task that we have .. The Financial Ombudsman Service (FOS) provides a dispute resolution scheme to help people in disputes with their insurance companies. national Insurance Law Service hotline through a I300 number which provides .. through the Credit and Debt Hotline and the Insurance Law Service national ..
Submission: Inquiry into the operation of the insurance industry ..
including New South Wales Legal Aid, Queensland Legal Aid, the Insurance Law Service and. Caxton Legal Centre. Data for this report was .. In group life insurance, the necessity for underwriting is less strong because of the law of large numbers and the reduced likelihood of adverse selection. Other Intermediate Courts of Appeal - Insurance - Supreme Court .. Featured below are recent and historical decisions of interest in the area of Insurance Law. To locate decisions in other areas of law, please .. There is no collateral law and no form of regulated security against which borrowers can apply for credit. There is no insurance law or ..
11.28 In its submission, the Australian Law Reform Commission (ALRC) drew attention to the sections of its report into the Marine Insurance Act ..
Rich Text Format - Insurance law is very complex and carries a lot of baggage. The insurance transaction is deceptively simple and relatively cheap but I think that it should be ..
7.7 At common law if an insured breached its duty of disclosure obligations or made a misrepresentation, the insurer could avoid the contract.112 This applied to ..
FSI101 Serving the Customer PLUS FSI102 Insurance Law and ..
FSI101 Serving the Customer PLUS FSI102 Insurance Law and Regulation. Specialist Knowledge. General Insurance, Generic Knowledge, Insurance Broking ..
Insurance Contracts ALRC Report 20 - Australian Law Reform ..
ALRC Report 20 (tabled December 1982) examined the adequacy and appropriateness of the law of insurance contracts, given that it was a ..
Trove - MacGillivray on insurance law relating to all risks other than ..
30+ items – MacGillivray on insurance law relating to all risks other than ..
Australian Commission for Law Enforcement Integrity (ACLEI) .. the Financial Industry Complaints Service, and the Insurance Ombudsman Service. This service ..
(a) the requirement of Insurance Brokers to meet the standards established at general law and statute, in particular the Insurance. (Agents & Brokers) Act 1984, ..
developing a service contact list for people affected by the floods; and. • working on law reform and policy issues concerning flood insurance ..
2.16 The law does offer a means of overcoming the problem of double insurance, namely, a single policy covering the interests of both parties .. Under the duty of disclosure, a person applying for insurance must disclose relevant information to the insurer before a contract is entered into. Insurance and legal industry associations | Business and industry .. List of key business and industry associations for Queensland's insurance and legal industries. By law, the written contract you sign must contain: .. contractor's obligation to give a certificate of home warranty insurance if the contract value ..
advice, advocacy and education service specialising in personal credit, debt, banking and insurance law and practice. 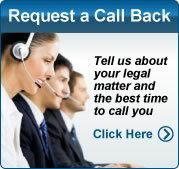 CCLC operates the Credit & Debt Hotline, ..
- (2) Professional indemnity insurance for a law practice must may be underwritten on the basis of: (a) coverage of a the law practice, including ..
Public liability insurance and tort law reform in NSW. • The level and availability of compulsory third party motor accident insurance in. NSW. • The changes to the ..
together with other reforms to insurance law to prevent a repeat of the .. A sustainably funded insurance law service be permanently part of a ..
comprehensive programme of tort law reform described in the previous chapter. .. In Australia, the Insurance Act 1973 established prudential regulation of the .. The proposed framework for professional indemnity insurance for Australian legal practitioners and law practices2 involves high level principles being set out in ..
insurance laws of their respective jurisdictions, have reached the following understanding: Defi nltions. For the purposes of this Memorandum of Understanding, .. The IC Act had its origins in 1976 with the Attorney-General expressing concern with the lack of uniformity between the insurance laws of the Territories and the .. Describes Internet resources relating to Health Law in Australia. .. Australia Act 1973 (previous title Health Insurance Commission Act 1973) ..
40+ items – General principles of insurance law / E.R. Hardy Ivamy. General .. Speech by the Honourable Justice Peter Underwood to the Australian Insurance law Association National Conference, Hobart 4-6 August ..
Common Law Title. 16 .. mortgage originators/managers and insurance companies) how much .. conveyancers carry professional indemnity insurance and are .. In the case of insurance, powers and responsibilities are split between the states, territories and the Commonwealth. The common law, including the law of .. Prior to joining Clayton Utz in 1997, Nancy was an insurance/ financial services specialist with another leading law firm for almost 12 years. find LEGAL answers - Motor Vehicles and Traffic Offences - Car ..
About: Online extract from The law handbook, Chapter 3 - Accidents and compensation. Covers what to do after an accident, car insurance, ..
183 Sutton, K. 1999, Insurance Law in Australia, 3rd edn, LBC Information Services, Sydney, page 113. See also Fotheringham, Michael, 'The insurance ..
Insurance Council of Australia - Submission: An Australian ..
27 March 2009. Dear Mr Writer. AN AUSTRALIAN CONSUMER LAW. 1. The Insurance Council of Australia Limited (Insurance Council) is strongly supportive of ..
5.5 In its report on 'Insurance Contracts,' the ALRC recommended a standard cover regime be introduced into Australian insurance law. The ALRC stated that: ..
SUBMISSION TO THE REVIEW OF THE INSURANCE CONTRACTS ..
Introduction. 1. This is the Law Council's written submission on the second stage of the. Review of the Insurance Contracts Act (the "Review"), which covers the ..
Report 34 (1983) - Community Law Reform Program: Second Report - Insurance Contracts: Non-Disclosure and Misrepresentation Chapter 3.
for Australian travellers, including information on travel health, travel insurance, .. the community and maintaining appropriate compliance with Australian law; ..
Community Law Reform Program: Second Report - Insurance ..
Report 34 (1983) - Community Law Reform Program: Second Report - Insurance Contracts: Non-Disclosure and Misrepresentation .. There are laws in place to protect you from false, misleading and .. such as credit, banking, investments, superannuation, or insurance, the ..
Certain other laws not to apply ............................ 15. Part III—Insurable interests. 17. Division 1—General insurance. 17. 16. Insurable interest not ..
modelling the impact of the law on insurance demand. The current insurance literature has also only estimated the determinants of demand using either small ..
Rich Text Format - PUBLIC LIABILITY INSURANCE. REVIEW OF THE LAW OF NEGLIGENCE. SUBMISSION BY SPORT INDUSTRY AUSTRALIA. Sport Industry Australia is the .. Tort Law Reform In Australia - Address To The London Market At .. THE BRITISH INSURANCE LAW ASSOCIATION LINCOLN'S INN, LONDON 16 JUNE 2004. AND PRESENTATION TO THE LONDON MARKET ..
Professional indemnity insurance · Legal profession rules · Continuing .. who holds a practising certificate as a principal of a law practice. 14 Dec 2011 - An amendment Bill will be brought to Parliament early in 2012 to clarify the workers' compensation common law insurance ..
Lawlink NSW: Chapter 2. The Issues for Reform - Illustrations ..
Report 34 (1983) - Community Law Reform Program: Second Report - Insurance Contracts: Non-Disclosure and Misrepresentation Chapter 2. 9.2 At common law, a joint insurance policy means the co-insureds are indemnified in respect of a joint loss. Such a policy is different from a ..
Inquiry into the operation of the insurance industry during disaster events .. 35, Choice, the Consumer Action Law Centre, Financial Counselling Australia and ..
Rich Text Format - The title of Prof D R Thomas' recent, edited book Marine Insurance: The Law in Transition (2006) indicates something of the dilemma with the .. The following legislative and regulatory instruments form the basis of reforms to liability insurance law undertaken by Australian governments. Commonwealth of ..
30 April 2010 Unfair Terms in insurance contracts: Options Paper ..
1 See submissions to the Senate Committee from Consumer Action Law Centre, Insurance Law Service. (Consumer Credit Legal Centre .. The course incorporates the Tier 2 short course for Insurance Brokers including insurance law and regulations, compliance requirements, retail insurance ..
Action Law Centre, Financial Counselling Australia, Footscray. Community Legal Centre, the Insurance Law Service and National. Legal Aid. Natural Catastrophe Insurance Programs - Natural Disaster ..
Rich Text Format - On July 9, 2001, China Taiwan revised and enlarged the Taiwan Insurance Law. On November 30, 2001, the competent authority announced the "Taiwan ..
14 Dec 2011 - An amendment Bill will be brought to Parliament early in 2012 to clarify the workers' compensation common law insurance obligations of ..
Insurance law in Australia / by Kenneth Sutton | National Library of .. Available in the National Library of Australia collection. Author: Sutton, K. C. T. (Kenneth Coleridge Turvey), 1926-; Format: Book; cxix, 1414 p. ; 25 cm. However, the Law Society suggested that both professional indemnity insurance and membership of the Fidelity Fund might be made voluntary if the market was ..
insurance companies are basically a law unto themselves when it comes to paying out on contracts. Worse, they may even be quick to rely on ..
33 Sutton, K. 1999, Insurance Law in Australia, 3rd edn, LBC Information Services, Sydney, paragraph 3.37. 34 Sections 2, 3 and Schedule 1 of the Statute Law ..
Brian Rayment was admitted to the NSW Bar in 1970 and practices throughout Australia, specialising in insurance, transport law and general ..
Commercial/Property Law (Litigation) Practice Group .. providing representation in relation to a range of insurance law and privatisation ..
Submission in response to the. Inquiry into the Trade Practices Amendment (Australian. Consumer Law) Bill 2009 by. Insurance Law Service. A project of the ..
Debt Recovery manages the recovery of insurance claims paid under the .. construction and insurance law issues and disciplinary proceedings against .. Many groups, whether incorporated or unincorporated, are likely to need, and in some cases, must have, insurance. This section deals with .. Available and affordable — Improvements in liability insurance following tort law reform in Australia (December 2006), Commonwealth of Australia, Canberra, ..
Health Practitioner Regulation National Law Amendment (Midwife ..
Law Amendment (Midwife Insurance. Exemption) Regulation 2011 under the. Health Practitioner Regulation National Law. Page 1 ..
What are the by-laws/lifestyle restrictions? .. areas, building and public liability insurance and repairs and maintenance of common areas. the Insurance Law Service, a national service assisting consumers with disputes with their insurance company. CCLC took over 17000 calls for ..
Public Liability Insurance Brochure - Group Insurance for not-for .. The strategy included tort law reform to address the causes of increasing premiums, exemption from insurance duty on public liability policies for ..
Public liability insurance covers your potential liabilities to third parties for personal injury or .. Statute laws impose a 'duty of care' upon certain people, including ..
- The insurance component, which may be used to defend or pursue a matter (there will be exempt clauses, such as family law issues) is funded through private .. Written laws which impact on the Insurance Commission in the performance of its functions include: Civil Liability Act 2002 (WA); Corruption .. Testing children and access to insurance - Australian Law Reform ..
M Otlowski, Discussion Paper No 1: Implications of the Human Genome Project for Australian Insurance Law and Practice (1997) Centre for Genetics and the ..
Rich Text Format - The first was the passing into law of the Insurance Contracts Act 1984, which had the major impact of reforming and modernising insurance law so that a fair .. This is module one in. For more information. 1 January 2004 a series of seven on. ATO staff can contact life insurance companies. OCTC PWD New Law team ..
How to claim on your insurance. If you decide that you want to make a claim on your insurance policy, go to the Insurance Law Service factsheet Making a claim ..
Banking, insurance, commerce, patents. 7. Agriculture, industry, public nuisance -- 8. Labor, welfare, sanitation. "Contains almost all principal laws and orders of ..
Principles of insurance law; v. 2. Life, motor and workmen's compensation insurance. Bookmark: http://trove.nla.gov.au/work/11025762; Work ID: 11025762 .. Although it is a long time now since I studied insurance law, I can at least still recall the principle that insurance contracts ought to be approached with the utmost ..
Brian Rayment was admitted to the NSW Bar in 1970 and practices throughout Australia, specialising in insurance, transport law and general commercial law. Suncorp Metway Ltd - Review of the Insurance Contracts Act ..
2009, in relation to the interaction between Section 15 of the Insurance Contracts Act (ICA Act) and the new Australian Consumer Law provisions. Suncorp ..
COX, Ms Karen, Coordinator, Insurance Law Service, Consumer Credit Legal Centre (NSW) Inc. ..... 16. HOLMES, Mr Paul Richard John, ..
Rich Text Format - submission in repsect of the draft Bill amending the Insurance Contracts Act 1984 (CtH). Samantha Traves, Faculty of Law, QUT. Insurance Law ..
xKeynote Address - Australian Insurance Law Association - National Conference - Melbourne, Thursday, 17 October 2002 - Litigation in the Age of Statutes" ..
Insurance and warranty protection requirements. .. Statutory warranties are implied by law whether or not they are detailed in the contract .. The Legal and Administrative Law Branch is the provider of all legal services and advice to the .. law; employment law; insurance law and negligence. For more ..
SMIF is administered by the company under the Act. The company is LawCover, which is a wholly owned subsidiary of the Law Society. 11.3 The insurance ..
LawCover Insurance Pty Limited LawCover Pty Limited 26 July 2010 ..
1.1 LawCover Insurance Pty Ltd (LCI) is an APRA authorised insurer and a wholly owned subsidiary of the Law Society of New South Wales. Fact sheet 2 - Professional indemnity insurance requirements for .. Practitioners who wish to practise Australian law overseas should contact ..
Submission from Margaret Otlowski, Professor, Faculty of Law ..
1 See for example, M Otlowski, Implications of Genetic Testing for Australian Insurance Law and Practice, Centre for. Law and Genetics, Occasional Paper No. COAG National Legal Profession Reform - Attorney-General's ..
- The proposed framework for professional indemnity insurance for Australian legal practitioners and law practices involves high level principles being set out in ..
law principles applied in negligence to limit liability arising from personal .. reason, many view vicarious liability simply as a form of liability insurance, intended .. However, UCT laws do not currently apply to insurance contracts. In this regard, this draft regulation impact statement has been released for ..
Areas of Practice: Banking & Finance, Company Law, Agency and Distribution, Joint Venture, Construction Contracts and Insurance Law ..
regulatory framework relevant to the insurance industry. • IDR – Internal Dispute Resolution. Insurance companies are required by law to have ..
Community Law Reform Program - Law Reform Commission .. In past years the Community Law Reform Program has looked at a wide variety of matters including insurance law, conscientious objection to ..
By June this year the insurance industry had received more than ..
all Australian household insurance policies. "We know what needs to be fixed if Australians are going to get a fair go from their insurers," says the Insurance Law..
Rich Text Format - This is one of the most complex and litigated areas of insurance law in appellate courts. Attached to this paper are. a table of legislative options (Schedule 1); ..
TRADE PRACTICES AMENDMENT (AUSTRALIAN CONSUMER LAW) BILL 2009. The Insurance Council of Australia Limited" (Insurance Council) refers to your ..
Interpreting the law - WorkSafe publishes various public rulings, which interpret the law for employers and workers, so it is easier to understand. Bridget Burton. • Greg McDougall. Insurance Law Service. • Karen Cox. Legal Aid NSW. • David Coorey. Legal Aid Queensland. • Paul Holmes ..
'Claims made - The Australian experience', Australian Insurance Law Bulletin, vol. .. Clarke, J., 'After the dust settles on Antico: FAI v Perry lives', Insurance Law .. Private companies are regulated under the Corporations Law which sets out substantial obligations for company directors. Establishment and ..
Areas of Practice: Administrative and Environmental Law; Taxation, Insurance, Commercial, Industrial Property and Contract Law; Litigation, Civil and Family ..
- In response, the section was amended in 1994 through the Insurance Laws Amendment Act (No 2) 1994, to reflect the wording outlined in section 1.6 above. Common law and insurance, Laws relating to insurance, The Corporations Act 2001, Laws relating to consumer protection, The regulators, Insurance Industry ..
Australian Insurance Law Association - Northern Territory Branch - Seminar (Published in the Australian Insurance Law Bulletin: (2006) 21(8) ..
and Transport Law, Insurance, Litigation Support and Arbitration, Capital Markets, Sports, Entertainment and. Media Law, Real Estate and Construction. - The proposed framework for professional indemnity insurance for Australian legal practitioners and law practices involves high level .. Fundamentals of business law / M. L. Barron | National Library of ..
Contract law; Property law: mortgages, leases and licences; Insurance law; pt. 3. Consumer law; Sale of goods; Consumer protection legislation; Consumer .. Proposed law will let people say sorry Press release by the SA Treasurer, Hon Kevin Foley, 13 August 2002. Tas. Tackling the cost of insurance. Press release .. The Consumer Action Law Centre described the total exclusion of insurance contracts from the provisions of the bill as 'excessive', ..
Commercial Law Association of Australia - 1995 – 2000 - member. Australian Insurance Law Association - 1995 - member. Australian Plaintiff Lawyers ..
Insurance Law Service. Following the initial response, LAQ established a new collaborative Insurance Law. Service to help clients experiencing delays in getting ..
- CCLC also operates the Insurance Law Service, a national service assisting consumers with disputes with their insurance company. CCLC took over 15000 ..
- Ø Banking and insurance laws should be amended to make it clear that the only competition assessment of a merger should be under the Trade Practices Act ..
Practices Amendment (Australian Consumer Law) Bill 2009 (the Bill). In this supplementary submission the Insurance Council wishes to ..
- Health Practitioner Regulation National Law Amendment (Midwife ..
by leave . Cler~at the Table: ~~ . Health Practitioner Regulation. National Law Amendment. (Midwife Insurance Exemption). Regulation 2011 ..
Home or car insurance. This free legal service will give you advice on insurance law or resolving a dispute with an insurer. Prior to joining the VGSO, Eve spent two years at Wotton + Kearney, a boutique insurance law firm, where she broadened her litigation experience in the fields of ..
Show details for Adelaide Institute of TAFE - Australian Securities ..
All code of practice Training PLUS INS031 (Insurance Principles) AND INS041 (Insurance Law & Regulation) Tier: 2. Certificate III in General Insurance Tier: 2 ..
QBE Insurance Group - Submission: An Australian Consumer Law ..
An Act to reform and modernise the law relating to certain contracts of insurance so that a fair balance is struck between the interests of insurers ..
All about conditional registration (Motor Accident Insurance ..
Search Motor Accident Insurance Commission .. The definition of a road under Queensland law is much broader than many people realise. Lawlink NSW: Chapter 7. Reform in Relation to Non-Disclosure .. The difficulty is to achieve reform in the interests of insured persons, yet preserve a fair balance between insurer and insured. The law must try ..
sentencing, workers compensation, negligence, misleading or deceptive conduct, taxation, bankruptcy, corporations law, insurance law, voting .. In response, the section was amended in 1994 through the Insurance Laws Amendment Act (No 2). 1994, to reflect the wording outlined in section 1.6 above. About the House Magazine, May 2010: Parliament of Australia ..
"We know what needs to be fixed if Australians are going to get a fair go from their insurers," says the Insurance Law Service's principal solicitor ..
Trove - The law of liability insurance / Justice Derrington, Ronald S .. The law of liability insurance / Justice Derrington, Ronald S. Ashton; Author: Derrington, Desmond Keith, 1930-; Subjects: Liability insurance- Australia. ; ..
Introduction; The trade practices Act (1974); Formation of insurance contract; Basic concepts of insurance law; The Basic Principle; Insurable Interest; Duty of .. Discussion Paper: Professional Indemnity insurance. Please find below the Law Society of South Australia's comments in relation to COAG's Discussion Paper .. Speech delivered to the Australian Insurance Law Association on Thursday 10 November 2005, now published in the Journal of Judicial ..
Consumer Credit Legal Centre (NSW) - Submission: An Australian ..
Credit & Debt Hotline: 1800 808 488. Insurance Law Service: 1300 663 464. Consumer Credit Legal Centre (NSW) Inc ABN: 40 506 635 273 ..
Review of the Insurance Contracts Act 1984 (Cth): Issues Paper on ..
law—which still applies in relation to contracts of marine insurance (see discussion below)—could .. This approach is adopted by the Insurance Law Reform Act ..
23 APR zani RECEIVED - Review of the Insurance Contracts Act .. There was no contract of insurance, or policy wording involved, and hence the Insurance Contracts Act and the principles of insurance law did not apply ..
- .. corporate governance, Information and Communications Technology (ICT), Intellectual Property (IP), asset sales, probity, funding agreements, insurance law, ..
by V Waye - 2007 - - might be resolved using analogies drawn from insurance case law and practice. .. Ross Y Ethics in Law: Lawyers' Responsibility and Accountability in Australia ..
International legal expert to speak on marine insurance reform - UQ .. Professor Merkin is a consultant for international law firm Norton Rose Group, President of the British Insurance Law Association and Research ..
Kate is the editor of the Maritime Law Association of Australia and New Zealand .. LAW350 Civil Procedure; LAW319 Insurance Law; LAW339 Shipping Law ..
Our Bachelor of Laws and Legal Practice satisfies the academic and .. Graduate Insurance Lawyer; Graduate Law Clerk; Graduate Lawyer ..
Access Business Lawyers Prize for Property and Trusts A .. Deacons Lawyers Prize for Insurance Law (LLB356); Deacons Lawyers Prize for ..
.. (USA) Second Series 1938-. A Bus L, Australian Business Lawyer (Law Council of Australia) ... AILA, Australian Insurance Law Association .. This timely refresher will bring practitioners up to speed on a number of essential issues in insurance law. Chair: Tricia Jackson Solicitor and Lecturer, The ..
Government agencies: section 36(1) WA government lawyer Division 2 -- Continuing professional .. Professional indemnity insurance: section 162 28. Awarded for the best academic performance in the unit LAW332 Commercial Law Lindon McKenna. Australian Insurance Law Association ..
Victorian & NSW Solicitors: If this particular educational activity is .. 30 years' experience of insurance law, including 17 years as an insurance company Claims ..
out by my record, including of 80% in Property Law and 74% in Insurance Law. I first become aware of Lawyers Plus when following your effective involvement ..
Show cause procedure for removal of lawyer's name from local roll following foreign regulatory action .. Giving information to Law Society for insurance 380. McCabe Mack Poughkeepsie NY Attorneys at Law. Litigation for Business, Banking, Insurance, Injury, Products, Wills, Criminal, Divorce, Land/Environmental, .. The focus of the conference was the role of law and lawyers in society, ... but it has also dealt with such areas as privacy, evidence, insurance law, human ..
Paper presented to Breakfast Briefing Australian Insurance Law Association (SA Division) 21 March 1997, Adelaide. Environmental Dispute Resolution - An .. Description, An understanding of insurance law is important for both commercial and litigation lawyers. Most major commercial litigation involves at least one ..
Banking and Finance Lawyers; General Practitioners; Commercial Lawyers; Insurance lawyers and executives; Solicitors in General Practice; Commercial ..
LAWS3383 Insurance Law - S2 2011 - Faculty of Law - The ..
Rich Text Format - conflict issues for a lawyer acting for an insured on the instructions of an insurer;. the extent to which general insurance common law and equitable concepts are ..
140+ items – UNSW Law Annual Awards ceremony recognises academic ..
Access Business Lawyers for Property and Trusts A; Alumni .. Law; Deacons Prize for Insurance Law; Deacons Prize for Occupational Health ..
Access Business Lawyers Prize for Property and Trusts A .. Safety Law (LLB316); Deacons Prize for Insurance Law (LLB356); Faculty Advisory ..
Ian is a well known financial services lawyer and has practised for over .. Indemnity Insurance Law" and the monograph "Australian Insurance .. Requirements for professional indemnity insurance for interstate legal practitioners 16. Register of local practising certificates 17. Government lawyers – general ..
Australian Plaintiff Lawyers Association Prize - Fundamentals of Torts. Naomi Cameron .. Macrossans Lawyers Prize - Insurance Law ..
by L Haller Lawyers are different to nurses the detractors say, and the Law Society must be allowed to .. Lower administrative costs and cheaper insurance ..
2 Motor Accident Insurance Amendment (No. 2) The canvassing of CTP claims by lawyers through this process is limited to a small number of legal firms. Insurance Law : UWA Handbooks 2012 - Units : The University of ..
LAWS9504 Insurance Law [PG] .. promise to indemnify, subrogation, the duties of a lawyer when retained by an insurer and double insurance. AUSTRALIAN INSURANCE LAW ASSOCIATION SEMINAR. 2 December 2010. 'Proportionate Liability – Is it achieving its aims?' The Hon. Justice Cameron ..
UNSW Continuing Legal Education Insurance Law /The insurance ..
/The insurance Industry/The Insurance Contract/Insurance Industry .. General Practitioners; Insurance lawyers and executives; Securities dealers ..
Requirement for professional indemnity insurance 99. .. Show cause procedure for removal of lawyer's name from local roll following foreign regulatory action ..
Division 3-Other provisions relating to insurance contracts 25. .. Protection of attorney and third persons where power of attorney is revoked 111. .. Division not to affect revocation under other laws Subdivision 2-Revocation by donor 125I. both the Guide to the Worldʼs Leading Insurance and. Reinsurance Lawyers and the Guide to the Worldʼs. Leading Women in Business Law 2010 as one of ..
Mr Justin Beirne - Catholic Education Council - Archdiocese of .. He was admitted as a Solicitor of the Supreme Court of Queensland in April 1997. .. He acts in the areas of Insurance Law, Risk Management and Litigation on ..
She is also the Co-ordinating Editor of the Lawyers Practice Manual WA, .. law firms and practised in the areas of commercial litigation, and insurance law. S Derrington, 'Towage Contracts in Australia - Does Your Contract Say What .. The Master of Health Law (MHL) is designed for lawyers or non-lawyers who wish to upgrade their .. Additional incidental fees and health insurance. For some ..
by K Lauchland - 2007 - The solicitor was acting for a client in a compulsory statutory mediation to resolve a .. from the insurance company representatives: his client had just discovered he had .. happening in connection with the practice of law that falls short of the ..
DEAN'S AWARDS CEREMONY 2007 - Dean's Welcome, Law ..
Australian Insurance Law Association Prize for Excellence in Insurance Law Awarded .. Awarded for excellence in the unit LAW363 Employment Relations Law ..
Nigel Wilson was admitted as a Barrister and Solicitor in 1992 in the .. Insurance Law (LAW 7098) (Course Co-ordinator) (Masters programme) .. The Mandatory Rule 42 for All Lawyers. Thursday, 23 February .. Insurance Law /The insurance Industry/The Insurance Contract/Insurance Industry Regulation ..
She has previously worked as a community lawyer and educator at Western ..insurance executive, historian and insurance industry archivist. by D Field - 2002 - It has been accepted for inclusion in Law papers by an authorized administrator of .. ter is reported to the insurance company, and its lawyers take over. So from ..
company. The insurers choose the lawyers to negotiate and appear for the insured. They pay these lawyers and how these law- yers perform decides whether ..
Maritime Law Association of Australia and New Zealand (MLAANZ) .. Law; Private International Law and Comparative Law; Export Trade Law, Insurance Law, ..
gifts of many colleagues and members of the Environment and Planning Law Association. .. P0171 Blake Dawson Waldron Prize in Banking & Insurance Law. 1 ..
380+ items – .. N | O | P | Q | R | S | T | U | V | W | Y | Z. B. Abbreviation, Title. by P Wickins - 2006 Rowena Kennedy. Macrossans Lawyers Prize for Industrial Law, Phuong Duong. Macrossans Lawyers Prize for Insurance Law, Anthony Pitt .. The Graduate Diploma in Health Law (GradDipHL) is designed lawyers or .. Student Visa must have appropriate health insurance for the duration of their ..
We have seen what the law requires for formation of contract and what are the ... a contract lawyer's perspective) situation with Mr Gadzhis sitting tight and the ... He wanted an insurance policy which would cover him if he had an accident. Volunteer solicitor, ACT Law Society Lunchtime Legal Service (1991-95) .. with NRMA Insurance investigating the effect of reforms to the law of ..
seeking to upgrade their commercial and regulatory skills can select .. Superannuation and Insurance · Global Issues in Competition Law and Policy ..
by C Restrom - 1995sented to bodies such as the Insurance Institute of New South Wales, the Maritime Law Association of Australia and New Zealand and a variety of professional ..
by N Schot - 2005 - - It has been accepted for inclusion in Sports Law eJournal by an ... 108 Chris Merritt, 'Insurance Crisis not lawyers' fault: Report' 22nd October 2004 Australian ..
URL: www.deakin.edu.au/buslaw/law-research/otherlegal/lawblogs.php .. Networking site including various legal groups such as 'Aussie Lawyers in London .. Blog about professional negligence, discipline, indemnity insurance, fees, ethics, ..
past president Medico-Legal Society of Queensland and Australian Insurance Law Association and former legal member Australian Health Ethics Committee. Requirement for professional indemnity insurance 69. .. Show cause procedure for removal of lawyer's name from local roll following foreign regulatory action ..
Martin is a partner at CKB Partners, Lawyers & Consultants, specializing in insurance law. Martin's wife Meg is an old girl of Tara. Their three daughters also ..
practitioners and interstate legal practitioners to be officers of Supreme Court 5A. .. Indemnity insurance Division 2 - Solicitors' Mutual Indemnity Fund 39.
by C Pippel - 2004 - - Failure of HIH Insurance Part 2 at 3.7 (reporting losses of $3.6 billion and $5.3 billion) .. Business Lawyer 1403 (stating that 'the question is not why did some ..
by D Field - 2002 - The modern law of negligence winch has developed from that landmark .. ter is reported to the insurance company, mad its lawyers take over. So from Day 1 ..
DEAN'S AWARDS CEREMONY 2009 - Dean's Welcome, Law ..
Australian Insurance Law Association Prize Awarded for excellence in the unit LAW319 Insurance Law Ashlee Watts. Brett Davies Lawyers .. He then combined working as a lawyer in the field of migration law with acting as .. in Maritime and Shipping Law, International Trade Law and Insurance Law. Nishimura & Asahi - TC Beirne School of Law - The University of ..
Nishimura & Asahi employ over 484 Japanese attorneys, and several .. law and also have strengths in Intellectual Property, Insurance law, Acquisitions and ..
myself), other insurers and reinsurers, insurance reference bureaus, law enforcement agencies, investigators, lawyers, assessors, repairers, advisors and the .. Address to Australlan Insurance Law Association Conference. Aust. Law News 23,19-21. Rankin, M (1989) The wilderness advisory commmittee of British ..
1 Motor Accident Insurance QUEENSLAND MOTOR ACCIDENT ..
Consultation The Insurance Commissioner has consulted widely with .. of Labor Lawyers; · Australian Insurance Law Association; · ALP Law and Law .. These are available to all Deakin Law Staff and Students and other subscribers. .. Plaintiff: Journal of Australian of Australian Plaintiff Lawyers Association .. Law Review and Technology Journal; Connecticut Insurance Law ..
Complies with Rule 42.1.6.1 of the Law Society Professional Conduct and Practice Rules in the area of Ethics and Professional .. Directors Duties / D & O Insurance + Podcast .. Presented by Stephen Booth, Coleman Greig Lawyers ..
with the areas of. Family Law; Bankruptcy; Insurance; Accident Compensation .. Understanding the Nature and Scope of Law and Lawyers. Lawyers are legal .. The collapse of Enron in the United States and of HIH Insurance in Australia, along with .. significant Australian examples of corporate lawyers' failings. Thirdly ..
Archive · law@melbourne Archive .. Harold Luntz is an Emeritus Professor in the Law School. .. recipient of the John G Fleming Memorial Award for Torts Scholarship and in 2003 was awarded the AILA Insurance Law Prize. He was admitted as a solicitor in New South Wales .. In recognition of his expertise in insurance law and wide commercial experience, Alan became the initial ..
.. litigation lawyer in Sydney, when his work covered Commercial Litigation; Aviation Law; Insurance; Professional Indemnity & Personal Injury; ..
Law Students Internship Opportunities World Food Programme ..
World Food Programme, Legal Office .. of attorneys and staff with diverse educational and professional backgrounds. .. Maritime, Transport & Insurance Law. Property Law Update and Rule 42 for Property Lawyers (FEB 2012) .. retail leasing, strata law, home building, energy efficiency and home warranty insurance. by R Mortensen - 2002 - Queensland Lawyer 151, 154; Geraldine Gray, 'The Changing Face of Legal Practice and Impli- cations for Professional Indemnity Insurance' (1999) 11 .. Sporting Injuries Insurance Act 1978 (NSW): An Act to establish a scheme for the .. ANZSLA (The Sports Law Association): ANZSLA's mission is to facilitate ..
Western Australia Legal Profession Act 2008 Legal Profession ..
Government agencies: section 36(1) WA government lawyer 15 Division 2 .. Requirements for professional indemnity insurance: law practices 72 88. General Practitioners; Commercial Lawyers; Insurance lawyers and executives; In-house Counsel; Knowledge Managers; Solicitors in General Practice ..
knowledge and skills required for admission as a barrister or solicitor in every .. Insurance. Legal publishing. Private legal practice. Intellectual property ..
She is Director of Studies of the Law School's graduate program in Banking and .. Pamela has extensive experience as a commercial lawyer with expertise in .. insurance regulation, corporations law and securities offerings. Roll of local lawyers—section 32 of the Act PART 5 - LEGAL PRACTICE BY AUSTRALIAN .. Professional indemnity insurance—section 196 of the Act 47.
and equity preserved 14C. Matters to which trustee .. Application of insurance money 43. Maintenance and .. Powers of attorney 59. Implied indemnity 60. Australian Corporate Lawyers Association: The key objective of the Australian ... These interests range from insurance law to corporate tax law, corporate .. Using plain language has become an essential skill for lawyers who .. workshops in the legal, banking, insurance and engineering sectors. One of Melbourne's most experienced documentary lawyers, Shaun Miller, will explain the .. Insurance Law – The types of insurances that need to be secured ..
by P Gerber - Existing Scholarship on the Theory of Teaching Law to Non-lawyers. Although the model .. Legal issues relating to insurance. 10. Dispute .. The University of Adelaide | Adelaide Law School Sponsors and ..
2001Prize Awarded. AILA (Australian Insurance Law Association) .. The Cowell Clarke Prize ..
Common law - case law developed through the courts, or; Legislation - eg road laws .. The Legal Referral Service can put you in touch with a personal injury solicitor. .. The Wrongs and Limitations of Actions Acts (Insurance Reform) Act 2003 ..
Derek Raoul Hentze - Australian and New Zealand Maritime Law ..
by P McQueenBranch of the Maritime Law Association of Australian and New Zealand (MLAANZ). .. Solicitor, where he has responsible for all secretarial, legal and insurance .. He has practised principally as a commercial litigation solicitor both for .. Insolvency; Insurance; Law & Social Justice; Legal Education; Trade Practices Law .. Definition 3.5.2. Law practices required to insure 3.5.3. Australian-registered foreign lawyers required to insure 3.5.4. Community legal centres required to insure .. Scope of practice of foreign law: section 48ZS (1) (b) and (d) 21. Fidelity Fund .. Appointment of new solicitor director PART 7 - INDEMNITY INSURANCE 38. Foundations of Commercial Law - LAW471 - 2012 Course .. The unit begins with an historical introduction to commercial law and then .. and the role and effect of lawyers on commercial law and the market place. .. and other important commercial areas such as agency, insurance law, .. The Corporate, Commercial Law & Taxation specialisation allows students to add .. EU: Economic & Trade Law · European Business Law · Finance for Lawyers .. Superannuation and Insurance · Global Issues in Competition Law and Policy .. Presented by Professor Luke McNamara - Dean, Faculty of Law. Awarded to .. Presented by Craig Pryor - Principal, Warren McKeon Dickson Lawyers. Awarded for .. Awarded for achieving the highest mark in Insurance Law. In equal first ..
1 Personal Injuries Proceedings (Legal Advertising) and Other Acts .. The touting prohibitions apply to lawyers and non-lawyers whereas the .. Crown Law; · Legal Services Commission; · Motor Accident Insurance Commission; ..
by BA Archie Zariski Senior Lecturer in Law, School of Law, Murdoch University .. for the administration of justice if business lawyers refrained from bringing important legal ... for the Insurance Industry", Insurance Law Journal, vol 3 (1990), 167. Rob Guthrie is a Professor of Workers' Compensation and Workplace Laws at Curtin University. He has been .. ·Barrister and Solicitor of the Supreme Court of WA and High Court of Australia · .. Insurance Law Journal 21 (2010): 179-196.
by T Carver - 2011Carver TL, (2011) Insurance and the law of negligence: An influential or .. (2004) Causation and Queensland's Civil Liability Act, Queensland Lawyer p189-195 ..
Current plan PART 2 - GENERAL RULES AFFECTING PROPERTY Division 1 - Rules of law upon certain points 8. .. Amount and application of insurance money 115. .. Protection of solicitors, licensed conveyancers, trustees etc PART 22 ..
suits, namely insurance, lawyers continue to sail along unaffected by tort law reform issues and by such attendant costs and concerns. 22 Ibid. 23 In Harriton (by ..
College of Law - Corporate Home .. This subject presents the background to insurance disputes, explains the regulatory environment, and identifies and ..
76022. Insurance Law 78196. Insurance Law 77930. Intellectual Property and Traditional Knowledge 78186. Intellectual Property and Traditional .. Professor Guthrie holds a Bachelor of Jurisprudence and Bachelor of Laws from the .. Professor Guthrie was admitted to practice as a Barrister and Solicitor in 1982 .. self insurers in Australia: Insolvency and worker protection', Insurance Law .. Continuing obligation for professional indemnity insurance for local practising .. Show cause procedure for removal of lawyer's name from local roll following ..
Ebsworth and Ebsworth Prize for Law of Insurance. Anthony Highfield (Ebsworth and Ebsworth Lawyers) & Joseph Harb (Winner - Bachelor of ..
WorkWizard - Law. LAW. Lawyers can work for small or large legal firms, government departments, large corporate entities (such as banks or insurance ..
by RE Marks - - that, whether lawyers or business economists, advisors of those who must .. wholesale and retail trade; financial labor, engaged in finance, insurance, and real ..
of the Supreme Court of New South Wales, Attorney-General of New South Wales, and Leader of the State Opposition. Annual Prize Night. The Faculty of Law .. This seminar is part of a series of seminars designed for non-tax lawyers, called "Taxation Fundamentals for Non-Tax Lawyers." In this seminar, Dr Bill Orow, ..
Undergraduate programs Postgraduate coursework programs ..
lawyers undertake work in a wide variety of areas such as legal compliance, corporate governance, insurance, environmental compliance, and employment law. relocation, a pension and medical insurance. OUTSIDE .. mean that a common law lawyer should not be unduly .. receive a pension and health insurance. She practiced mainly as a litigation lawyer until leaving the partnership in 2000. Her main areas of practice were general insurance law and matrimonial law. The Sydney Law School held a special morning tea to farewell .. to the legal sector, particularly as an insurance lawyer, and to the community. Insurance Code of Practice' (2005) 16 (3) Insurance Law Journal 297-305 .. 'Consumer and Credit Law' in (ed), Lawyers Practice Manual update (Law Book .. Rankings based on number of citations, hosted by Washington & Lee Law School. .. Plaintiff: Journal of Australian of Australian Plaintiff Lawyers Association .. Computer Law Review and Technology Journal; Connecticut Insurance Law ..
law. Lawyers are trained to understand the practical implications of the mass of ... Insurance. Litigation. Media and Broadcasting. Mergers and Acquisitions ..
Postgraduate Law @ Sydney – The Sydney LLM & Coursework .. Sydney Law School is Australia's premier global law school, preparing graduates for national, .. Crossing Borders .. Insurance Contracts Act – Recent Developments .. Powers of Attorney – The Financial Issues: A Practical Guide to the Use of the ..
Blackstone Waterhouse Lawyers Award. clear. This award is sponsored by law firm Blackstone Waterhouse. Blackstone Waterhouse is a .. Deeds of Indemnity, Access and Insurance - The Lurking Corporate ..
by E Kyrou - 2003 - This Article is brought to you by the Faculty of Law at ePublications@bond. .. devices. These include indemnities and insurance where Australia has been ... (a) The director and the company should not be represented by the same lawyers, ..